Following the devastating flood that hit the city in 2007, Findlay was moved to the top of the list for redevelopment of school facilities by the State of Ohio Exceptional Needs Program. 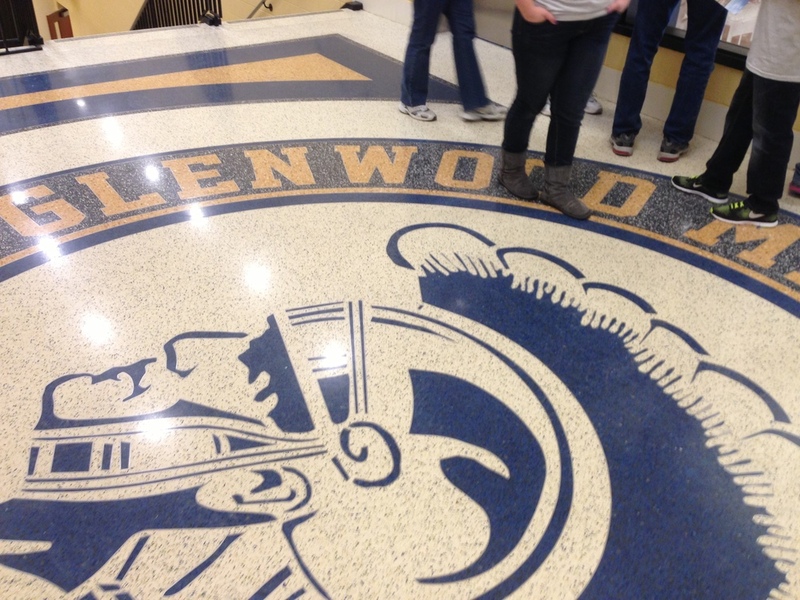 Glenwood Middle School, coupled with Donnell Middle School and Millstream Career Center were all redeveloped utilizing state funding with a local match through a levy. Glenwood Middle School was constructed on the same property, just behind the former Glenwood Middle School Building, that was constructed in the 1920's. This rear property however, was home to a former industrial factory. After receiving State Grants to help clean up the brownfield property, the project moved forward, guided by RCM Architects and Garmann-Miller Architects. The new 113,000 sf structure is much larger than the 70,000 sf school building it replaced. Classrooms are divided between wings and floors, with each grade receiving its own wing. The average classroom is about 900 sf, which nearly doubles the size of the former Glenwood classrooms (540 sf). To improve energy consumption, Glenwood features efficient geo-thermal and chill beam systems for heating and cooling. These systems are only part of the design that helped achieve LEED Gold Certification for the building. Drop-off areas were planned to keep parents vehicles and buses separated to avoid potential conflicts. Buses utilize the front circle drive from Main Street, while parents can stack up in a long drive lane behind the school, connecting Trenton Avenue with 18th Street. Single point of entry for the building allows for heightened security measures, including video surveillance of interior and exterior areas and key FOBS to control and track building access.